It began Mother’s Day 2014. Collector of stories and a writer to boot. Showed me the ropes and Cronechronicler was born. The very first gift begat many more. Words, stories, feelings filling up posts. Just do your homework and you’ll make the grade. Little did we four know where this would lead. Something else was afoot, a poet was born. Given to me to abundantly share. You ask why I blog? Written in response to Dungeon Prompt: Why Do You blog? I enjoyed reading your response to the Dungeon Prompt. 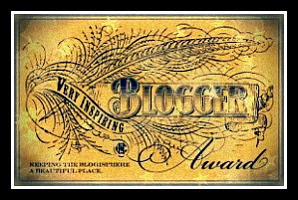 Blogging is such gift to all of us……. to the writer and to the reader. I was thinking I have been blogging for two years, but I just checked. I started the same month you did. I shouldn’t be surprised. I think we “met” at the Blogging 101 course! That class was such an experience of community. I haven’t been able to devote enough time to a class since then to make that happen for me again. I’ve taken classes but it has just seemed different. You have a great gift with words. I’m so glad our paths crossed! Thanks for the pingback. I’m beginning Writing 101 for the second time next week. Maybe I’ll get tech savvy this time. Great poem. Love poems that really tell a story. Cool that you and my mom (Karuna Poole) met at Writing 101. So many great connections in the blogosphere. I didn’t know that Karuna is your mother. Wonderful blog-family thread for us three. Thanks, Sreejit. Glad you like my poem. Thanks for your comment. Blogging also gives me a chance to know a writing community and receive wonderful support like yours. And what a great motivation!! !